The first synthetic cell culture medium was formulated 60 years ago by an American physician named Harry Eagle. As a pathologist, Dr. Eagle needed a way to keep cells alive longer in a laboratory setting in order to study their growth and behavior. His formula, better known at EMEM (Eagle's minimal essential medium), is composed of a mixture of sugars, vitamins, salts, and amino acids and as its name implies, is the bare minimum of nutrients needed in order to keep cells alive ex-vivo. Since its creation, Eagle’s medium has become an essential consumable in labs worldwide where it is used by researchers to study animal cells. However, the formulation hasn’t changed much since making its debut in 1959 and recently scientists have begun to wonder if feeding cells the bare minimum of nutrients is skewing the results they are obtaining in lab. Thinking of EMEM as Gatorade (which it essentially is), you can imagine what would happen if you tried to subsist on a diet of Gatorade alone. Your body wouldn’t behave normally under such harsh conditions so why do we expect your cells to be any different? In 2012, a researcher by the name of Saverio Tardito set out to create a more relevant cell medium. “The vast majority of biomedical researchers use cell culture media that were not designed to reproduce the physiological cellular environment but were formulated to enable the continued culture of cells with minimal amounts of nutrients and serum”. His final concoction, called Plasmax, is a mixture of approximately 60 nutrients and metabolites found in the human blood. In their paper, published in Science Advances, Tardito and his colleagues at Cancer Research UK Beatson Institute compared Plasmax with traditional cell culture media and found that cells cultured in Plasmax behaved in a more physiological manner. By studying Plasmax in conjunction with cancer cells, Tardito and his team concluded that their newly formulated medium can improve the degree to which in-vitro models behave as they would in-vivo and ultimately provide better models for cancer research. As we enter the renaissance of tissue engineering, we are deepening our understanding of the complex organisms that make up the human body. In order to develop novel drugs, better study disease, and regenerate tissue, it is imperative that we develop more relevant models in the lab that mimic the geometry, environment and diet that cells exist on in the body. 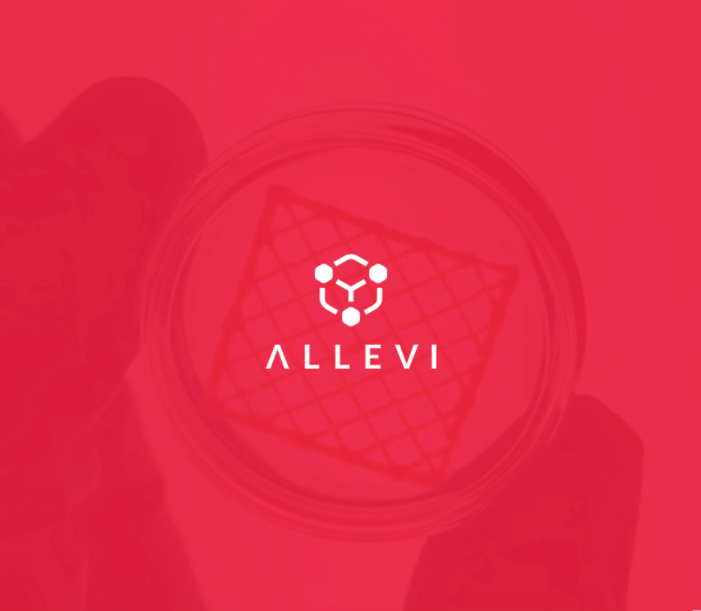 Here at Allevi, we are constantly working to make our bioprinters and bioinks accessible to scientists worldwide. Our mission is to get Allevi 3D bioprinters into the best research labs where they can accelerate the pace of discovery and push the boundaries of biology. That's why today we're excited to announce that you can now shop Allevi products on the world's leading life science equipment distributor; VWR International. Now it’s easier than ever to get an Allevi bioprinter into your lab and begin changing the world. Join us. Our amazing users at The University of Waikato will use their Allevi 2 to research new treatment paths for cancer patients that could eventually lead to cancer tumors being treated outside patients' bodies. We are constantly inspired by this amazing community of scientists who are changing the way we design, heal and build with life. And we're here to support them along the way! Read on to learn more about this incredible research. When we founded the company in 2014, our mission was to make it easy to design and engineer 3D tissues. Bioprinters on the market were expensive, inaccessible, and difficult to use. We created our Beta device to tackle these problems and were humbled by its adoption within the community. Three years later, we believe in our mission even more strongly, as we’ve grown to serve hundreds of labs in all corners of the world. As our users sophistication and capabilities expanded, so did we. With the launch of each new bioink and next generation bioprinter we have grown to be leaders in 3D biofabrication with a community of users who are literally changing the way we do medicine. From Yu Shrike Zhang over at MIT who published the first ever thrombosis-on a chip, to Julio and Andrea down at Wake Forest University printing tumor models, to Nathan Tessema in Dr. Kara Spillers Lab who published first author work as an undergrad. As we push for a future where organs are printed on bioprinters we realize that we are so much more than a hardware company. Our new name Allevi was inspired by our community of users who work every day to making living solutions for humanity’s most important problems - to cure disease, to alleviate suffering, to build with life. When your work has life changing implications for people all over the world, it’s an amazing responsibility. That ingenuity. That importance. That’s Allevi. We believe everyone has the potential to change the course of medicine. That’s why we are launching our new software today. At the heart of our software drives towards an experience that standardizes user flow, assures repeatability for the entire community, and provides an unparalleled way of testing several variables at once to reach a desired outcome quickly. The slicer is now integrated directly into the core of our software. 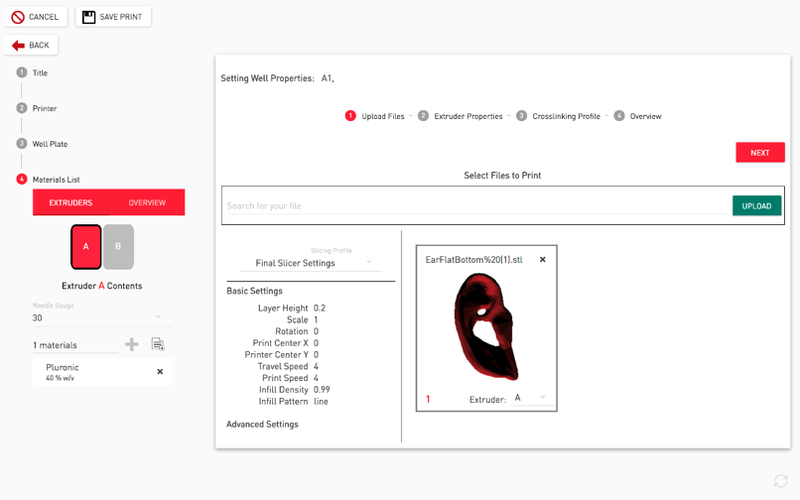 This allows users to focus on the parameters that matter the most for creating a successful print while allowing us to do the heavy lifting of slicing on the cloud. 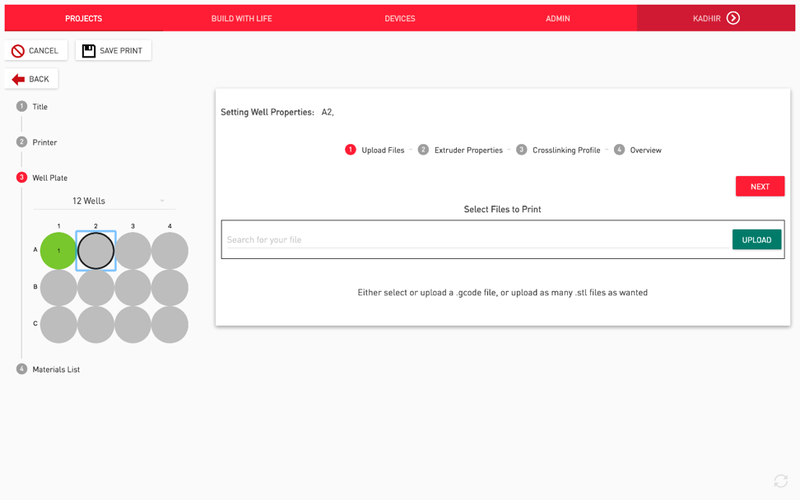 We have also designed a new feature called projects where users can fill out a step by step process to create novel printing protocols. The software works with you to think about what you should consider when creating your desired construct. If you don’t know what is exactly going to create the best print, it’s okay….you can use a multi well dish and vary the parameters in each well to find that optimum print, whether your trying to achieve the best print shape or trying to optimize to have high cell viability, we have you covered. You can learn more about the software here and learn more info on our website allevi3d.com. We are so excited to get this to you and continue to help you to pave the way to the new frontier in biofabrication and become a pioneer in the biological revolution.